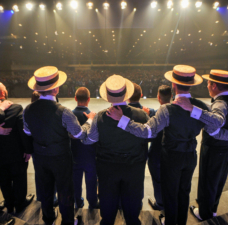 Competitions presented by the Barbershop Harmony Society operate mainly under two guiding documents: The Contest & Judging Handbook and the Official BHS Contest Rules, which are contained within the Handbook. From time to time, the Society Contest and Judging Committee (SCJC) revises these documents to correct technical errors, reflect evolving changes in practice, and enact instructions of the Society Board of Directors or the Society’s Executive Director. The latest revision, dated August 18, 2018, incorporates several minor changes. 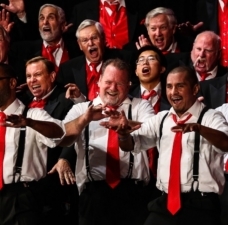 None of these changes alter the definition of barbershop harmony, the methods of judging, or the way ensembles should prepare and perform in contest. The revisions published today fall into three general areas: Entering Contests, Running Contests, and Judging Contests. Article I.C.1.c addresses the minimum number of BHS quartets (determined by the BHS Executive Director) that will be invited to the International Quartet contest. The previous number was 45; this has been increased to 50. This rule does not have any effect on the number of invitations that may be extended to Affiliate quartets. As a reminder, however – all BHS quartets that score above a 76 percent (or are the highest scoring qualifier from their district) will qualify for International, even if the total exceeds 50. This change only applies to potential “wildcard” qualifiers if we don’t have enough BHS quartets for the contest. Article I.A.5 continues to allow for members to compete in more than one quartet at any district or division-level contest. This rule update now provides better clarity in requiring that any additional quartets must be comprised of at least two different members. As a reminder, however, in International and International Preliminary contests, a member may compete with only one quartet. With the June 2018 announcement that extends BHS membership to women, many people have been asking how that impacts our BHS contests. As has been previously communicated, for now, there are no changes. However looking forward, the Society Contest & Judging Committee as well as the BHS staff and Board are all considering various ideas for expanding official competition options beyond those currently available. These may include mixed harmony quartets and perhaps other types of ensembles. With this rule update, our contests will remain the same for the 2018-2019 contest cycle. We’re also recognizing the potential for new official contest options in the future. Let’s not forget that for several years, many district and division-level conventions have been providing opportunities for mixed harmony quartets and choruses, youth quartets, women’s ensembles, community choirs, as well as a variety of other “non-official” competitors to perform for scoring and evaluations from our judging panels during BHS contest sessions. This will not change. With the flexibility of our judging community volunteers, we will continue to enjoy all the performance opportunities our district and division conventions provide. Look for a convention near you to inquire about what events are scheduled in your area. For choruses invited to compete in the International Chorus contest, Article VIII.E previously allowed for and defined the process for requesting to sing first (prior to the announcement of the random draw). The update to this rule now extends that same opportunity to quartets that have qualified for International competition. 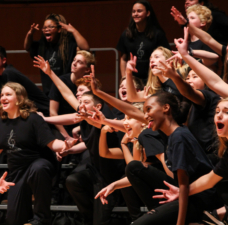 In addition, the rule has been extended to allow for these same types of requests from quartets and choruses competing in district and division-level contests. Previously, Article VII.C dictated that we only break ties for first place. The new rule provides that from now on, ALL ties will be broken. The primary reason for the change is to make it easier for convention event teams to have the appropriate level awards (such as plaques and ribbons) prepared in advance to provide onsite at the contest session. Another reason was due to feedback we received, that most folks don’t like ties – especially the competitors. As before, the tiebreaker will be the higher Singing score, but the other change is that now the “second tiebreaker” (if ever needed) will be the Performance score rather than the Music score. Of course, as before, any scores that persists across all three categories will remain a tie. Article IX.A.3 has been modified to clarify that – within the context of a chorus performance – more than four parts will now be adjudicated by the Music category as a rule violation rather than as a musical “element” within the performance. For more information about four-part texture expectations for choruses, you may wish to read the details provided within the Music category description under section II: Musical Elements. Bottom line, there is no substantive change here; because this has always been an issue that can impact your Music score. The intent is to simply align with the manner in which we adjudicate other rules. For example – in the preceding section (Article IX.A.2) – instrumental accompaniment is also handled as a rule violation. This clarification does not alter how ensembles are judged or how they perform. This clarification does not alter how ensembles are judged or how they perform, and has been applied to more accurately describe what we do in barbershop. A homorhythmic texture is homophonic singing, but with the added requirement that all parts are singing the same rhythm and word sounds together. Primarily – with the exception of brief solos, embellishments, swipes, etc. – that is what we expect to hear in barbershop contests. Why add more quartets to the International contest? As the quality of quartets continues to rise, the Society wants to ensure that high-quality quartets have a reasonable shot at reaching the big event. The same applies to competitors from affiliate organizations. Keeping the door open for all quartets of merit encourages more groups to strive for excellence. There’s a way to ask to sing first, so can my chorus request to sing last? The fairness of the contest has always been the random draw. Because some folks consider it to be an advantage to sing last, we do not offer the option to choose a more favorable position. While singing first is considered by many to be a disadvantage, some folks would like that option so that they can watch the remaining competitors in the contest. If more than one group requests to sing first, a random draw is held for that first position. Article VIII.A.1.b allows for appearances for other reasons beyond the random draw. 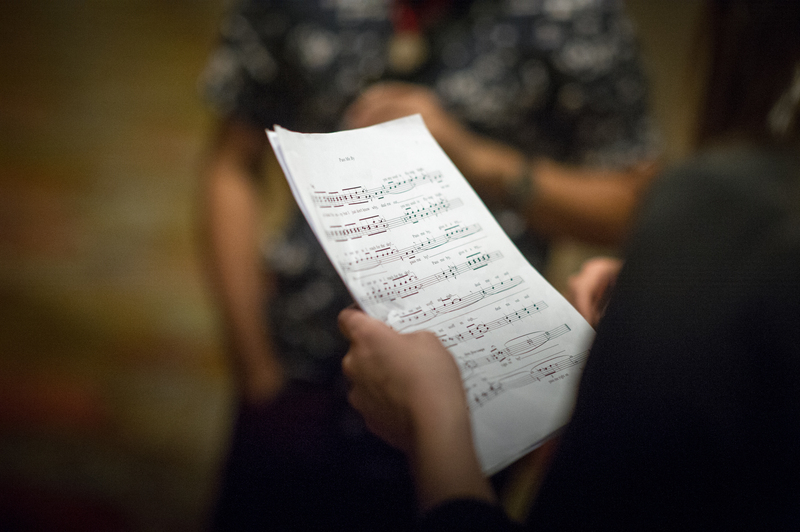 From time to time, a convention host chapter will request to sing last to accommodate offstage duties; such a request is handled as a special case-by-case exception. Why is BHS waiting to have official sanctioned contests for mixed and women’s ensembles? Many districts do it already, and they’re doing great! 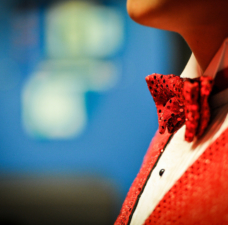 As a music education organization of good reputation, the Barbershop Harmony Society is proud of its mature, well-constructed contest system, which is viewed with respect by music professionals and academics. To accord the respect due women’s and mixed ensembles, we wish to thoughtfully and thoroughly examine our judging approach, our training, and our rollout to performers. The goal will be to have all stakeholders — performers, judges, and audiences — well prepared to welcome these new groups to our official preliminary and international contests with a well-tested, well-understood system. In the end, it may look exactly like today’s system, but it will be the result of conscious deliberation, not simply replicating existing practice. What will be the process for revising the rules to accommodate women’s ensembles? For mixed ensembles? Will they be judged the same as men’s groups? The Society Board of Directors has directed SCJC to assemble a study group. Timing is to be determined. As of this writing, no changes will be enacted for the 2018-2019 contest cycle. Will BHS Contest Judges receive any new guidelines/training in judging mixed and women’s groups? 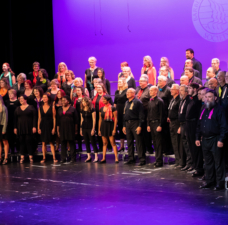 Many certified BHS judges have already had training and experience in judging mixed harmony and women’s groups in our “unofficial” contest opportunities at district contests, as well as at affiliate and Harmony, Inc. contests. Any required training will continue to evolve from study and recommendation of the Contest & Judging community. Under the regular cycle of BHS Judging Category School, the next scheduled all-judge training event falls in July 2019. That event may include discussion and/or training components for an expanded range of ensembles. Why did the second tie-breaker change from Music to Performance? 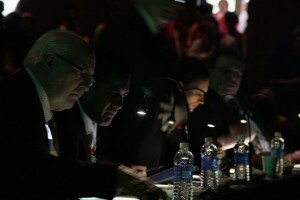 The Performance category adjudicates both the visual and vocal aspects of the performance. Although the need for a second tie-breaker is highly unlikely, the SCJC considered what would likely be the audience’s reaction to the announcement of the rankings. Since the Performance category is evaluating the overall entertainment impact, the SCJC determined that if two groups scored the same total points AND were exactly tied in the Singing score, then their impact on the audience would be a better tie-breaker than the Music category. What’s the difference between “homophonic” and “homorhythmic,” and why alter the language to something less widely understood? A homorhythmic texture is homophonic singing, but with the added requirement that all parts are singing the same rhythm and word sounds together. While the term is less commonly used, it more accurately describes what we do in barbershop. Primarily – with the exception of brief solos, embellishments, swipes, etc. – that is what we expect to hear in barbershop contests.